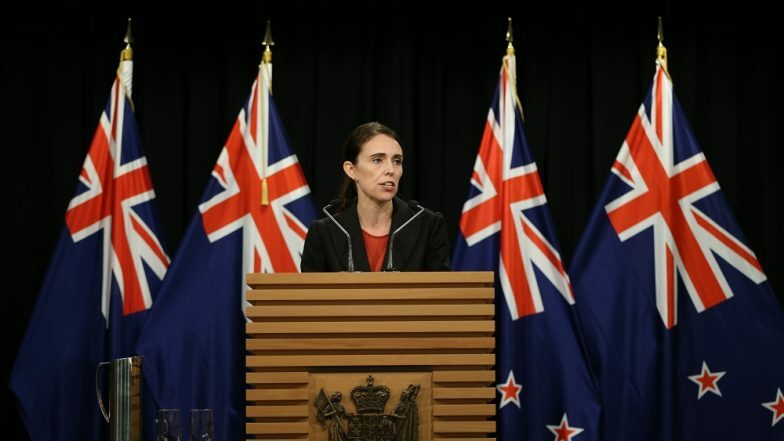 Wellington, March 21: In the wake of the Christchurch terror attack that left 50 people dead, New Zealand Prime Minister Jacinda Ardern on Thursday imposed a ban on military-style semi-automatic weapons and assault rifles in the country. According to Jacinda Ardern, a new law will be brought by April 11 and a buy-back scheme will be established for banned weapons. "Now, six days after this attack, we are announcing a ban on all military-style semi-automatics (MSSA) and assault rifles in New Zealand," Ardern said. "Related parts used to convert these guns into MSSAs are also being banned, along with all high-capacity magazines." A day after the Christchurch terror attack, Andren said gun laws would change in New Zealand as her government announced it will ban semi-automatic rifles. New Zealand PM Jacinda Ardern Says Christchurch Mosque Shooter Wants 'Notoriety', Vows Never to Mention His Name, Watch Video. "There were five guns used by the primary perpetrator," she said at a news conference on March 16. "There were two semi-automatic weapons and two shotguns. The offender was in possession of a gun licence. I'm advised this was acquired in November of 2017. A lever-action firearm was also found." She said the prime suspect, identified as 28-year-old Australian Brenton Tarrant, obtained a gun licence in November 2017 and began purchasing guns legally in December 2017. Christchurch Mosque Shooting Video Was Viewed 4,000 Times Before It Was Pulled Down, Says Facebook. "While work is being done as to the chain of events that lead to both the holding of this gun licence and the possession of these weapons, I can tell you one thing right now. Our gun laws will change," Ardern said. Fifty people were killed and dozens injured in the shootings at Al Noor Mosque and the Linwood Avenue Masjid in Christchurch on March 15 after 28-year-old Australian Brenton Tarrant opened indiscriminate firings.